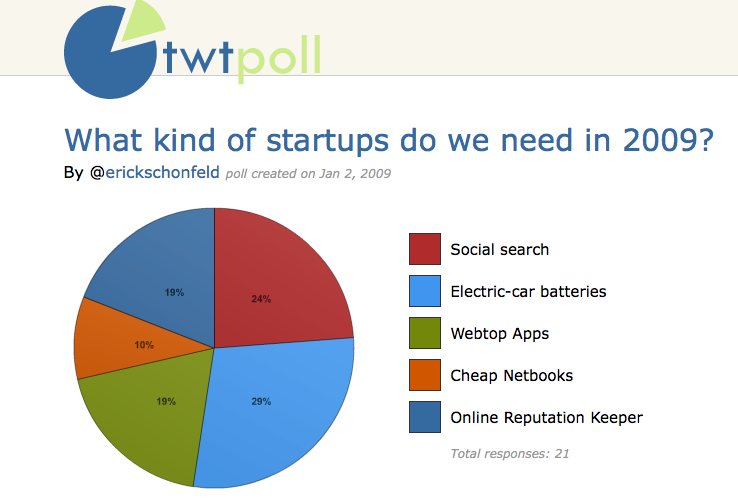 One of the simplest ways to use Twitter is to conduct instant polls among your followers. But compiling all the replies is an ad-hoc and messy process. 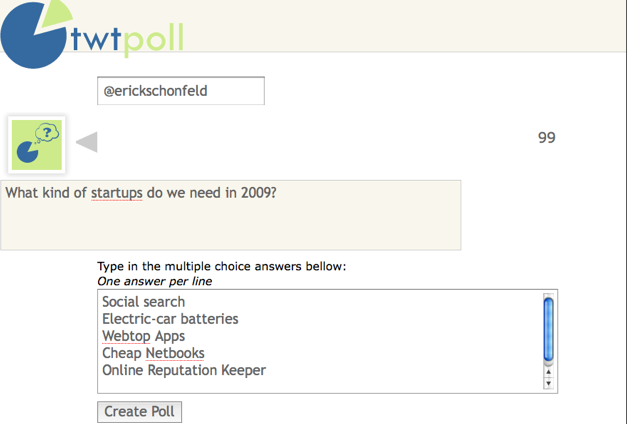 Enter twtpoll, a simple polling app that lets you ask multiple choice questions and provides a shortened URL that you can Tweet. All you do is enter your Twitter user name (no password), create the poll, and then hit the “Twitter” option and it creates a Tweet populated with the question and the link to the poll. (You can also ask via Facebook if you are signed in). The question became this Tweet, which links to a page where you can answer the poll. PollDaddy offers Twitter Polls that are similar. I kind of wish you could see all the choices and answer via Twitter somehow instead of being taken off to a separate site, but there is only so much you can do in 140 characters.